We have over 30 years of experience of handling criminal and civil matters of all types. We are focused on defending your rights and freedom. With over 30 years of experience to serve you. PATRICIA GITRE HAS OVER 30 YEARS OF EXPERIENCE IN DEFENDING BOTH ARIZONA AND FEDERAL CRIMINAL CASES. We Respect Our Clients Needs. We offer top class, award winning legal representation, at an affordable price. We represent clients in small cases, all the way to large whilte collar and death penalty cases. We also offer post trial relief representation. Your freedom and rights are our main concern. Conveniently located office in downtown Phoenix. We offer both in office consultations by appointment, as well as consultations by telephone for your convenience. We offer top class legal representation at affordable prices. We have over thirty years of experience, in both State and Federal courts, covering small to large scale cases. We have also represented both plaintiff and defendants in civil, probate and family law matters. Our experience will assist you get the results you need in an affordable manner. Good representation doesn't have to be expensive and time consuming. We accept most major credit cards, and offer flat fee representation (excluding costs and expert witness fees). Whether you have a large complex case, or a simple case, we know its your life and interest that what count. We handle all of our clients' cases with the same dedication, attention to detail, and personal touch, regardless of case size. We believe that everyone is entitled to the best representation, regardless of their background or financial condition. Our office has over thirty years handling infraction, misdemeanor, felony, death penalty cases, including post trial appellate work for all criminal matters. We have appeared in both State and Federal Courts through Arizona, and appeared pro hoc vice in California. Ms. Gitre is licensed to practice law in both Arizona, and Michigan, including Federal District Courts. Ms. Gitre is a respected defense attorney who has appeared in television documentaries, newspapers, and other media, distinguishing her representation of criminal defendants. Regardless of the size of your case, Ms. Gitre will work for you, to get you the best possible outcome for your case. 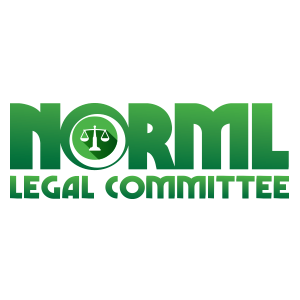 We are proud to be a member of NORML's legal committee. NORML is working constantly to educate, expand and protect your rights when it comes to medical and recreational use of marijuana. Whether your looking for representation, an expert witness, or an opinion on a legal issue involving marijuana within Arizona, our office is available to you. One of Arizona's most reputable law firms, offering affordable and assertive legal representation. Our goal is to serve your best interests by offering competent, knowledgeable and experience throughout the Federal and Arizona State court systems.. Whether you require representation in a minor or major criminal matter, family law dispute, probate, dissolution of marriage, domestic violence, restraining orders, or simple or complex civil disputes, we are here to assist you. We can handle your case through trial, and are also available for post trial appellate work should you need to file an appeal. We also handle personal injury cases and various administrative hearings. 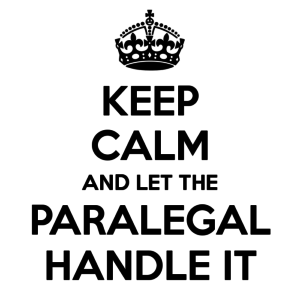 Our office utilizes a network of investigators, paralegals and experts. 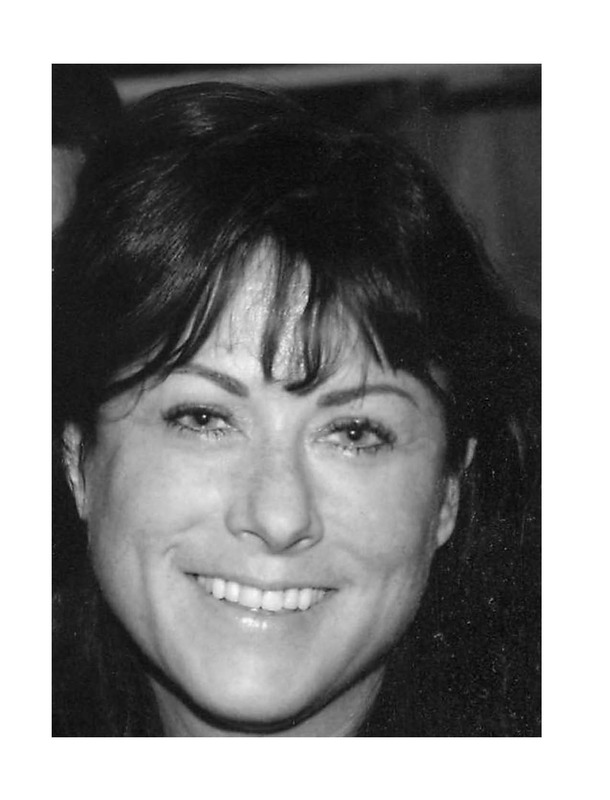 Pat Gitre is licensed to practice law in the State of Arizona and State of Michigan. For over 30 years, Ms. Gitre has represented clients, both as plaintiffs and defendants, in civil, domestic relations, probate and criminal. The areas include general civil dispute, domestic relations, victim rights and criminal litigation (Federal, State and local levels). Areas include contract disputes, debt disputes, white collar crime (embezzlement, wire fraud, bank fraud, conspiracy and schemes to defraud), dui, medical marijuana, drugs, trespass, shoplifting, domestic disputes, assault, murder and death penalty. She also handles criminal appeals and petitions for post-conviction relief including ineffective assistance of counsel claims. Pat Gitre is located in Maricopa County, Arizona but also focuses on clients that need assistance in Northern Arizona Superior, in Justice, City or Magistrate Courts. Ms. Gitre partners with Tom Gorman (www.lawyergorman.com), a criminal attorney located in Sedona, Arizona, to provide the best representation for clients located in Northern Arizona. The client is not charged for both attorneys but will receive the combined experience of both Ms. Gitre and Mr. Gorman. Consultations are available both by phone or in person. Gitre law is proud to network with the law office of Thomas A. Gorman. Thomas A. Gorman has specialized in criminal law for over 25 years. Mr. Gorman is certified as a Specialist in Criminal Law by the State Bar of Arizona and recognized as Learned counsel in United States District Court. Mr. Gorman has tried cases and/or defended citizens around the state including, Bisbee, Cottonwood, Flagstaff, Kingman, Phoenix, Prescott, Nogales, Page, Sedona, Snowflake and Tucson, AZ. Mr. Gorman has secured not guilty verdicts or secured outright dismissals for clients charged with money laundering, 1st Degree Murder, capital murder, sexual assault, sale of drugs, domestic violence, assault, theft etc. In addition, Mr. Gorman has defended his clients by using, among other defenses, the defense of entrapment, the battered women syndrome, mental health defenses and self-defense. Mr. Gorman has done pro bono work by defending death row inmates and/or defending pre-trial capital defendants before State and Federal trial courts, the Arizona Supreme Court, the 9th Circuit Court of Appeals and the United States Supreme Court. Ms. Washburn received her Associate of Applied Science Degree, Division of Paralegal Studies ESS College of Business Dallas, Texas in July 1992. Rose also obtained her Associate of Business Management Degree from Baker College, Flint, Michigan May 1984. Rose also actively assists numerous private defense attorneys throughout Arizona. Rose supports our attorneys by providing support for our firm handling state and federal criminal law; civil litigation, real estate, contract and title cases; domestic relations; civil appeals; and probate law; pleading & correspondence drafting, discovery requests, investigations, internal initiatives, and research; production of records; and skills resulting in effective working relationships with co-workers, clients, prosecutor offices and courts. Attorney Patricia Gitre successfully represented former Arizona Corporation Committee member, Gary Pierce, who was charged, along with his wife and two others, with conspiracy, bribery and wire fraud in one of the State's highly publicized political trials of 2018. After a hasty three month investigation (during which the prosecution interviewed only three witnesses), the government indicted our clients, based mainly on the testimony of a co-defendant’s ex-wife, Kelly Norton. Kelly Norton admitted to negotiating her immunity deal that included avoiding taking a lie detector test relating to her testimony. Right before the trial began, our clients were offered a deal by the prosecution which included no jail or prison time. However, our clients stood firm to prove their innocence, no matter the personal and financial sacrifice. At trial, the prosecution told the jury they would present solid evidence of 8 crimes against each of the four defendants utilizing the testimony of the ex-wife of a co-defendant, to build their case. The government initially claimed Sherry Pierce took a job paying her $31,000 for a years work, which benefited Gary Pierce because the checks were deposited into Sherry and Gary’s joint marital account. The prosecution initially claimed Sherry’s job, was a “no show” job, inferring Sherry did not work for the $31,000 she was paid. However, after five weeks of trial we established our client’s wife, Sherry Pierce, had been employed by the government’s star witness to perform various jobs and in return was legally paid for her work; Sherry, our client’s wife, even declared this income on her taxes. This undermined the government’s initial “no show” claim, the core of their case. The prosecution then changed their position and continued to prosecute the defendants under a new theory; that Sherry Pierce, was simply overpaid in their opinion, therefore all four defendants should lose decades of their freedom. The government also sought convictions based upon a sale of land that never happened. At trial the government’s star witness, Kelly Norton, admitted she had received immunity from the prosecution, and negotiated her immunity deal to specifically avoid taking a lie detector test prior to testifying against her ex-husband, the remaining defendants, and our client. The defense attorneys, including Patricia Gitre, extensively cross examined the prosecution’s star witness, and showed the jury two different flavors of testimony the government’s key witness had to offer. One that made her sound important for the prosecution, and another side that admitted Sherry Pierce had actually performed work for payments totally $31,500 undermining the government’s case and providing a big win for the defense. Not only did Sherry Pierce work, she reported the income to the IRS. Ms. Norton on the other hand, did not report her income from the same consulting job to the IRS. The case went to the jury after five weeks of trial. The jury returned, informing the Court they were irrevocably deadlocked 7 to 5 in favor of acquitting all of the defendants on all of the charges. The court declared a mistrial due to the jury deadlocked in favor of total acquittal. The jury Foreperson later told the media the government’s case was “weak” and that, by closing arguments, the prosecution looked like they had lost confidence in their own case. The Foreperson also reported that the case turned on the unconvincing testimony of the government’s key witness, Kelly Norton, who was found to be less than reliable. Faced with a case that was built by the prosecution on the credibility of one main witness, our focus was to thoroughly investigate the prosecution's self serving immunity deal, including the prosecution's agreement not to require their star witness to take a lie detector test as part of her deal. At trial, the prosecution's star witness tried to explain that she wanted to avoid taking a lie detector test because she thought they were unreliable. Ultimately the majority of the jury found this witness' testimony, including her inconsistent explanations during her testimony, to be unreliable. The government soon after declined the opportunity to retry the defendants and sought formal dismissals of all five defendants on all counts. The District Court granted the dismissals requested by the prosecution. Attorney Patricia Gitre on defending biker club on Federal Charges, as seen on A & E's Documenatary on "Outlaw Bikers"
Attorney Patricia Gitre explains part of her defense in a case brought by the United States against members of the Hell's Angels biker club. The prosecution had charged members of the bikers with numerous counts, including a "RICO" charge, which is normally applied to members of organized crime. In the case Ms. Gitre handled, the prosecution sought to apply this organized crime statute against the members of the biker group. Ms. Gitre pursued disclosure of all of the prosecution's evidence, including surveillance tapes involving conduct of the prosecution's agents. The prosecution stalled until the Federal Judge hearing the case ordered production of all of the evidence, including surveillance tapes including tapes involving prosecution agent's conduct. The prosecution refused. That decision ultimately lead to dismissals or substantially reduced charges against the defendants in this case. Ms. Gitre fights for your right to a fair trial, regardless of your background, or type of charges filed against you. Arizona is home to one of the largest populations of elderly residents, who come to our fine state to retire and enjoy life. Unfortunately for those who have saved up for their retirements, they can fall prey to people that claim they will help our senior community. . . but unfortunately seek to help themselves to a senior's life savings. Marie Long was quickly taken advantage of. Her $1.3 million dollars of lifetime savings, intended to pay for her retirement needs, became a pot of gold for a group of people claiming to help Marie. Within a matter of years, Marie's life savings were fleeced, and Marie became another victim of the probate system. Ms. Gitre, in conjunction with other attorneys, offered their services to put an end to the abuse that occurs way too often. In the end, some that was supposed to take care of Marie abandoned her after using her funds to pay for gifts, sporting event tickets for their employees, and other unnecessary expenses. Ms. Gitre fought hard for Marie. In the end, some of the people who had fleeced Marie were put out of business. In a heavily publicized case filed by the United States Attorney's Office against an aide to a local politician, Ms. Gitre defended her client a trial winning not guilty verdicts on a majority of the charges. Despite our client's verdict against him on the remaining 9 counts, we didn't give up and eventually helped overturn 8 out of 9 counts relating to wire fraud. When the local politician's aide was caught up in a wide spread Federal investigation, the aide was indicted on some very serious charges, with the possibility of facing substantial time in prison, if convicted. Ms. Gitre fought hard, advocating that the charges should have been filed in State Court, rather than Federal Court. Zealously representing her client for several years, Ms. Patricia Gitre won numerous acquittals at trial and eventually won her client's freedom by successfully overturning 8 out of the 9 remaining verdicts against the aide. Ms. Gitre's tireless work result resulted in a sentence of probation, rather than substantial prison time. Copyright ©2017 Law Office of Patricia Gitre, PLC. All Rights Reserved.